It’s a little strange that it’s taken me this long to get around to reviewing Artisan Roast’s coffee, seeing as how they are essentially the founders of specialty coffee in Scotland. I’ve visited their cafes numerous times, and reviewed their charming Stockbridge, Edinburgh, location on this blog. But for whatever reason I haven’t bought a bag of beans to properly try myself. That changed this week when, due to a combination of lack of foresight, an ordering mix-up and general ineptitude, I found myself driving north to Udny at the last minute to visit the Coffee Apothecary and come away with a bag of the extremely intriguing Nicaraguan Cerro De Jesus Natural. Coffee in Nicaragua is finally starting to recover from the brutal civil war of the 60s and 70s followed by the devastation of Hurricane Mitch in 1998. All this, plus having to compete with Central American neighbours Costa Rica and Honduras for the coveted specialty coffee market has pushed Nicaraguan farmers to up their game in recent years. Today, micro and small scale producers make up around ninety five percent of Nicaragua’s coffee farms, which in turn support the employment of more than 280,000 people. 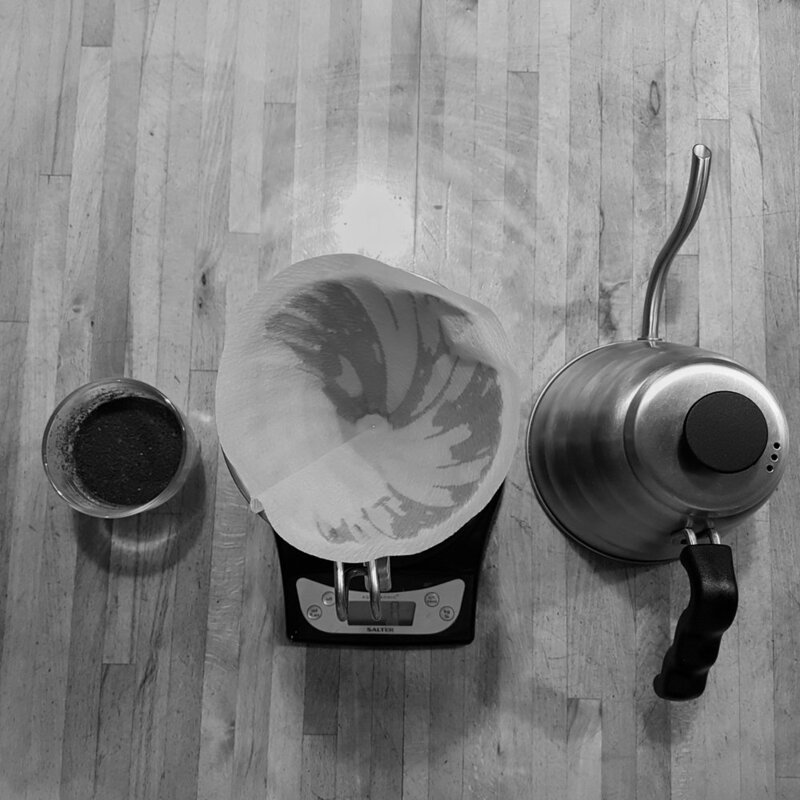 Artisan Roast pride themselves on their close relationships with their producers. They have been buying coffee from Cerro De Jesus for a number of years, and this micro-lot of natural processed Catuai varietal is exclusive to the company. The farm’s owner, Julio Peralta, has invested in a school to educate the children of the some 300 workers who live on the farm, as well as offering financing, milling and consultancy to other local farmers. Natural processed coffees are relatively rare in Central America, washed coffeesdominating due to traditional practices based on the almost constant supply of clean, fresh water. Recently, however, some producers have begun diversifying their production in a bid to compete with those around them. Which, for us coffee-obsessed weirdos, can only be a good thing. So what, then, of the coffee itself? Artisan Roast are known for their design as well as their product, and the bags are replete with sketched logo and doodles. The info cards are also interesting, with their video-game-esque tasting note diagrams, and definitely useful for those unfamiliar with the minutiae of specialty coffee. The dry fragrance is unassuming but compelling, a lovely combination of red wine, strawberry jam and a touch of licourice. The natural process becomes more apparent in the brewed cup, a bready coconut base with a predominant sweetness reminiscent again of strawberry jam. There is a subtle brightness in there somewhere, sneaking furtively around the edges without ever springing into full view. The finish, meanwhile, is wide and slow, a pleasing hint of caramel which fades gradually away. 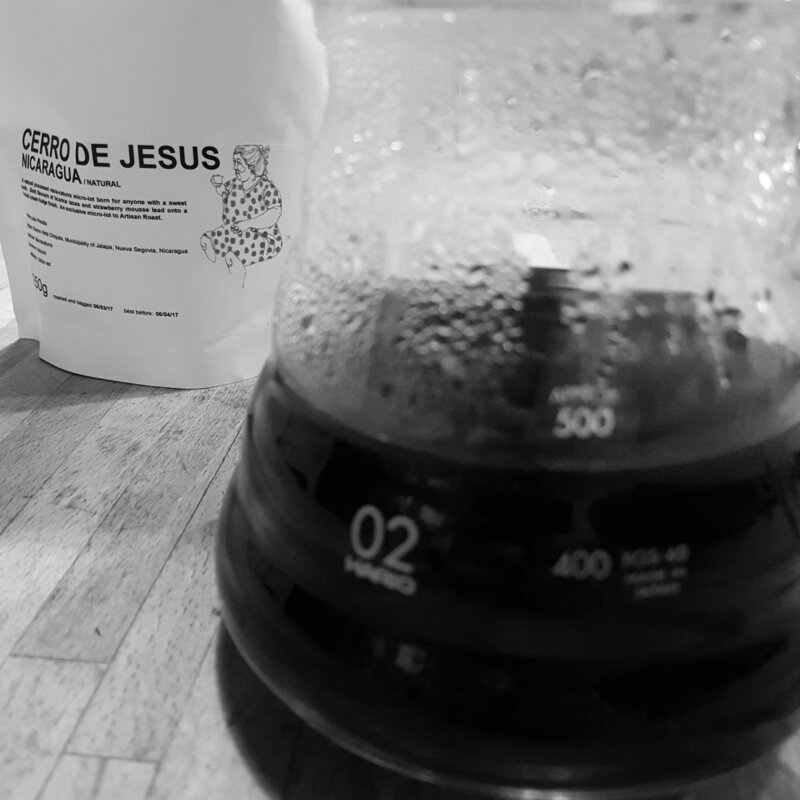 This natural Nicaraguan Cerro De Jesus provides further confirmation of Artisan Roast’s standing in the Scottish coffee world - a carefully sourced, expertly roasted and meticulously presented example that raises the bar for other roasters to match.